Where did Autumn go? It is conference, event and learning season. Well, learning should always be important, but it just seems the next two months are going to be chaotic and awesome. Most of my other spare time is spent writing for the Sloan Foundation deliverables for CrisisCommons. We have a stack of deadlines until the Trustee meeting in December. Every time I share this story it helps refine my contribution to the documentation. It is so exciting to focus on this project. I’ll be sharing some CrisisCommons and Crowdsourcing stories at the Social Tech Conference/Unconference this weekend. Very excited to talk about open source and humanitarian volunteerism on a global scale. My co-presenter will be CrisisCamp Toronto’s Steve Kalaydjian. I am honoured to co-present with David Black, Brian Chick and Melanie Gorka about CrisisCommons and how social media and Emergency Management groups can collaborate. I am partnering with technology companies, hackers and software developers to organize a Random Hacks of Kindness event in Toronto. More on this soon. Toronto has a great hacking community, especially Hackto.ca. If you are reading and want to lend a hand, I’d love the help with sponsors, outreach and more. Developers want to create from scratch. 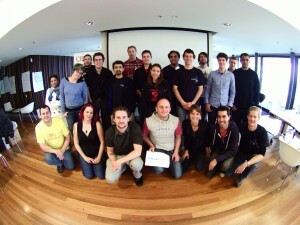 At Random Hacks of Kindness in Sydney,Australia, I was schooled by the Task Turks team. These very bright software developers created a tasking tool from scratch using Django, github, and some fierce project design thinking. Task Turks team (Pamela Fox, Jared Wyles, Nathan Oehlman, Damon Oehlman,and Tom Jachimczak) created “Little Things” at the two day hackathon. During a crisis situation, a large number of tasks that are required for the commencement or resolution of relief efforts often stagnate as it is difficult to align specific tasks with people who are able to perform those tasks effectively. This may be due to specific skillsets being required or it may be a difficulty with aligning location specific tasks to people in the right area. The Task Turking project aims to deliver a simple web interface to allow entry of tasks that are needed, specifying either specific skills, locations or additional information and then farm the jobs out to people performing the work based on the skills that they have. The project is adding smarts to the codebase, allowing for specific workflows of tasks dependent on user abilities and tasks themselves. It was identified that users performing these tasks should also become rewarded through an achievement based system where performing tasks will lead to increased badges or achievements. These are also used to determine how a particular task will be performed – an example of this would be a task requiring translation. If a translator has not performed any work in the past, the task would then require a verification step either by the poster or by another user to ensure the quality of the translation is up to required standard, while a user who has done many translations in these languages would automatically be accepted as having performed a suitable job. The code allows users to find jobs based on their specific skillset and allows search functionality to be saved for additional customization and ease of use. While being designed to be a simple intuitive interface, the project has included many flexibilities in the types of job requirements and skillsets that users have and tasks require. Lead by Pamela Fox (a Google Wave team member by day) the team spent about 5 hours of the 1st day mapping out the project and building the requirements. Then, they taught themselves Github and started developing. The hardworking team even worked on the project up to the last seconds before the second day presentations. All the code and technical specifications can be found on the RHoK wiki. Balancing innovation and problem definitions is never an easy job. With Crisis Commons work, we are concerned about duplicate software development projects. We simply don’t want to waste the time of keen, talented folks who want to contribute. I approached the Task Turk project as a duplicate effort. I was wrong. The more I consider the real-time use of this project, the more I become their advocate. Development creativity at hackathons should be free to enthusiastically embrace a problem definition in the manner the developers see fit. As one person pointed out: “We are in development frames during our day jobs. We want to create from scratch.” Inspiring work can lead to more brilliant ideas. Change happens when people are free to innovate. I thought I was a believer before. Now, I am a drummer in their parade. So, I am publicly thanking each of you for “Little Things”. Your teaching moment has made a big impact on my development in my volunteer time (as a lead for Community Development with Crisis Commons) and with my professional career. Oh, and for introducing me to the awesome Aussie candy: Whizz Fizz. Thank you! Over 2 days, up to 35 folks joined RHoK Sydney to hack away at complex problem definitions, some vague, with your diverse knowledge in software development, web design, usability, organization, audio-visual, presentation and humour. Not to be left unchallenged, you brainstormed, analyzed, drew diagrams, mapped out plans, and began coding. A number of your projects have live websites or proof of concepts with visuals as part of the presentations. Well done! See the RHoK wiki for all of this content. Some of the projects may continue in other forums as they are huge opportunities for real positive change. Every hack counts and with the excellent documentation, someone (maybe even you) will build on the work. If you are working on the project, please do keep us informed and let us know if you need any help. We firmly believe that real change starts with many hands and brains. Please add your contact information to the wiki if you would like some follow-up. And, we expect that this experience may inspire you to create in your own workplaces or with other volunteer experiences in the future. We’ve already sung your praises in keen development with the World Bank, RHoK, Second Muse, Crisis Commons Co-Founders and even some Canadian government officials. Tolmie Macrae did a fantastic job creating video content about all of your projects. These can be found on the RHoKSydney Youtube channel. Guests from Drumbeat (Mozilla Foundation) and the Sydney World Bank offices attended our presentations. These guests are your new biggest promoters. Nairobi and London attended the presentations via Ustream. The RHoK Global team will be in touch in the future. They have a collective goal of fostering this community in your city and country. 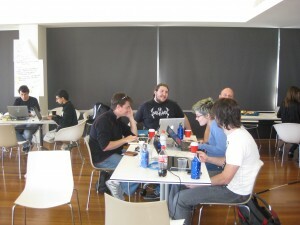 A few folks have offered to organize in Sydney and beyond for hackathon or Crisis Commons work. We hope that you will keep in touch, spread the word that Techs can help and join us again. We really are laying the groundwork for the future. Each hackathon for humanitarian aid will build on the collective knowledge and experience. Real change happens in small steps. While your efforts might not draw immediate results, they are tremendous building blocks. Crisis Commons has a International Congress in July 2010. We will be streaming this event for full participation. The conversations will include some of the gaps you have highlighted. We are a new community and are learning from the best. On a personal note, Heather really welcomes your feedback to help Crisis Commons best serve their members. Please feel free to contact her directly. She will also be sending a message closer to the date to keep the New Zealand and Australian communities engaged. Some of the projects you worked on were Crisis Commons initiated. We consider you a member of our community for your volunteer work. We would also like to thank the Center for Innovation and Entrepreneurship, Australian School of Business at University of New South Wales, Second Muse (the event planning organization), the World Bank (RHoK sponsor for Sydney), RHoK (Google, Yahoo, Microsoft, NASA and the World Bank) and Tall Poppies (the caterer). Heather Blanchard, Noel Dickover, Deborah Shaddon, Sara Farmer, and Chris Foote of Crisis Commons. Normally, travel from Nairobi to Montreal would route via Paris or London. What about information and collaboration? This weekend a Random Hacks of Kinds, I had the honour of making this connection via Sydney for Random Hacks of Kindness (June 5 – 6, 2010). Crisis Commons Canada is young with two strong cities: Toronto and Montreal. One of the big projects from CrisisCamp Montreal is Haiti Amps. 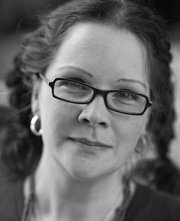 Kimberly Rouf worked tireless to build a relationship with Team Canada Healing Hands. Once she had the requirements, she coordinated with software developers to create a website and app that would allow amputee requests via SMS. Mobile phones are very prevalent in most countries and using this capability is a natural fit. Haiti Amps was one of the featured Problem Definitions for Random Hacks of Kindness: RHoK1.0. Kimberly quickly ramped up her project wish list in preparation for potentially being selected by one of the RH0K city development teams. And, that very thing happened in Nairobi. Early Sunday morning AEST, I was on oovoo (a video streaming platform) with the RHoK Nairobi folks. Linda Kamau asked me if I, as a Canadian Crisis Commons volunteer, knew anything about Haiti Amps and if I could help her reach Kimberly. Meanwhile, Kimberly was able to log into oovoo but there was a problem with the video and it kept crashing her computer. We elected to just try the oovoo chat. This worked. Great, Montreal online with Sydney. Now, we just needed Nairobi. Fortunately, one of the Nairobi folks saw our white message board alert. We passed written messages on the white board. Sydney: We have Montreal on oovoo ready to talk about Haiti Amps. Nairobi: I’ll look for her. Nairobi: Linda is on her way. Can we skype? Sydney: Sure, skype name please. On IRC, I messaged Kimberly that we are going to switch from oovoo to IRC. Lorraine calls Kimberly as she appears to be offline after one and half hours of troubleshooting. Kimberly joins us on IRC. Linda joins us on IRC. We have a RHok Connection: Nairobi to Montreal via Sydney on the same platform at the same time! Kimberly and Linda decide to skype about the project. Here is some of the great results of this collaboration. 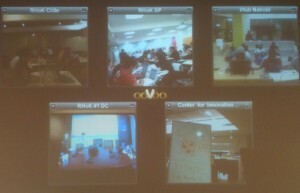 To review: we used oovoo, IRC, email, Skype, Twitter, Facebook and a regular phone to connect two amazing Crisis Commons’ and RHoK volunteers on a humanitarian technical project called Haiti Amps. They are still collaborating. As a Crisis Commons volunteer, I am so proud of our ability to work under pressure to collaborate and coordinate across multiple platforms, social networking tools and timezones. Every day I am awestruck by the power of the Internet and our community. This is just one example of the great work from RHoK 1.0. RHoKing projects and adventure had by RHoK1.0 Sydney. Our 6 teams submitted our videos for the Random Hacks of Kindness 1.0 Awards ceremony which happens tonight in Washington, DC. *A number of the projects have live websites or proof of concepts with visuals as part of the presentations. *Guests from Drumbeat (Mozilla Foundation) and the Sydney World Bank offices attended our presentations today. RHoK1.0 Nairobi and Crisis Commons London attended via Ustream. We filmed the report backs on the projects. These will be on the RHoK 1.0 Sydney Youtube in the next couple of days. Lastly, we had so much fun and I feel very happy that folks attending from all over Australia (Brisbane, Newcastle, Canberra, and Sydney) and New Zealand as well as two Canadians and one US volunteer. I firmly believe that the community in AU/NZ will continue. We are very proud of all the collaboration and awesomeness of our efforts. I personally am quite honoured to have met each of the attendees and to have shared this experience with them. Thank you to Second Muse, the World Bank, RHoK and Crisis Commons for giving us all this opportunity, and to the CIE/ASB/UNSW for the spectacular venue, logistical support and beautiful sunrises/sets.